Divine Guidance is the unlimited flow of God’s love, wisdom, and healing. God and His team of Devas welcome your continual requests for assistance. They want to help you with everything. Everyone can connect with the Devas and receive Divine Guidance. 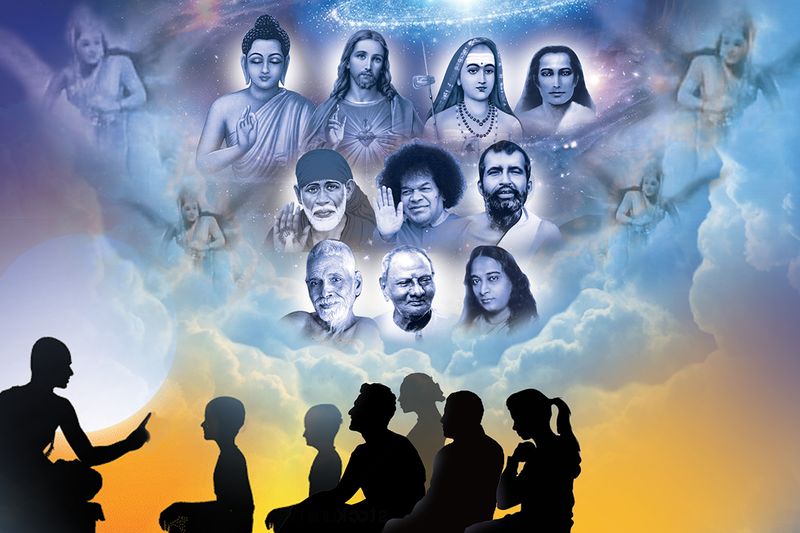 This class will show you how you can connect with the Devas and seek guidance by yourself. These classes are conducted online via Skype and offline in Bangalore and Hyderabad. These classes consist of 3 sessions, each of duration 1 hour and 15 minutes. Each class is conducted after a gap of one week. We also conduct personalized single (of 2 hours duration) classes for individuals and groups. If you are a group of 4 or more people who would like personalized classes, please write to us. What Divine Guidance is and how it works. Who are God’s Devas (angels) and how they can help you. Fine tuning the 4 inner senses (powerful meditations and practices to open and develop the four inner senses). How to distinguish between Divine guidance vs. the monkey mind. How to attain deep silence in which Divine guidance simply flows. Daily spiritual sadhana of at least 30 minutes. This could include meditation, nama japam, chanting of the vedas, and/or pranayama. What is the difference between the Diving guidance workshop video and the classes? The Divine Guidance video is a very comprehensive workshop and helps you to gain knowledge and understanding about the Devas. In the Divine Guidance classes, the focus is on experiencing the Devic presence. Individual attention is given to the participants to help them to release blocks and fears about receiving divine guidance. What you experience in these classes depends on your level of awareness and practice.